Mix 'n match fun is yours with this Dark Lord of the Sith: once a promising young Jedi who lost his roots! Use your imagination to create all sorts of wacky looks! 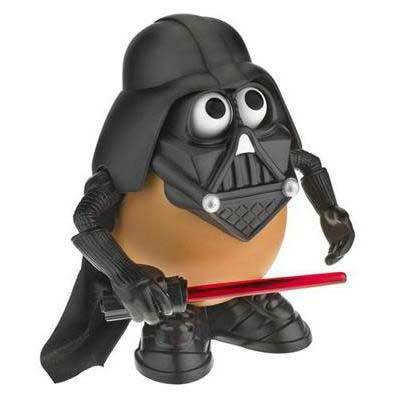 Darth Tater comes with fun pieces you can fit anywhere on his potato body and they all fit inside the storage compartment! So rule the galaxy with Darth Tater! available for pre-order at $14.95 each.